The contemporaneous media ecology implied a reconstruction of the meeting places between production and the audience. If the first fights for prominent places in the immensity of the offer, the second won power of decision, it creates contents and it has emancipated itself from the grids straitjacket. The new forms of digital communication are thus questioning the whole logic of functioning in the so-called traditional media, television, among them. Like newspapers and radio, television has been put to the test, especially in the past decade. The medium tries to survive in the face of the stimulating world of the new, of the interactive. And it is in this context that it has become more complex, more diversified, potentially interactive, asynchronous content provider and less reduced to the grid that shaped it in the first six decades of its short yet popular story. Are we watching the end of television? Or is this media integrating other media, becoming some sort of hypertelevision? Is it a television that survives or that renews? That aggregates or fragments? 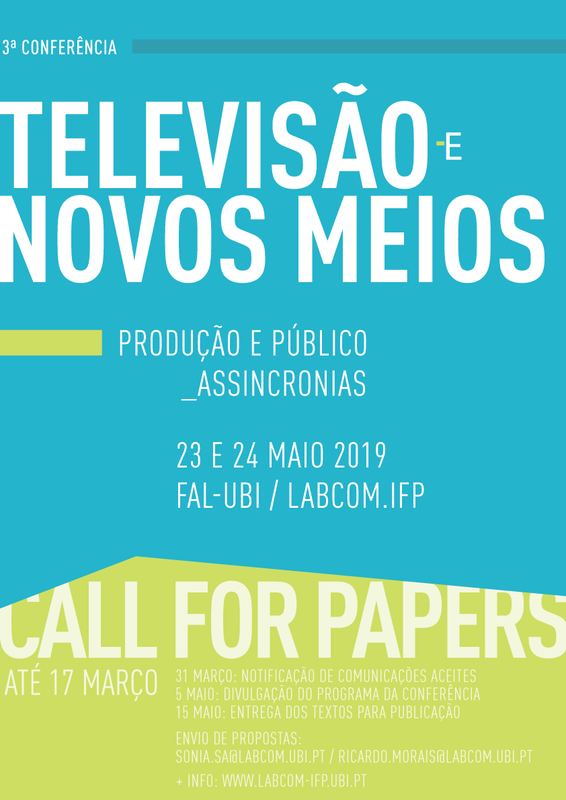 These are some of the questions that we intend to raise in the third edition of the Television and New Media Conference, to be held on 23 and 24 May 2019, at the Faculty of Arts and Letters of the Universidade da Beira Interior, in a joint initiative between the Communication and Media Group of the Investigation Unit LabCom.IFP and of the Television Studies Workgroup of the SOPCOM, covering the areas of fiction, documentary, entertainment, advertising and journalism.